A FORMER soldier who bit a police officer in the arm has been jailed for his third biting attack. Kelvin Cornwell, 32, drew blood in the attack on the officer - despite spitting his false teeth out during the struggle. It is the third time Cornwell has been sentenced for biting since he was discharged from the army following a helicopter crash in 2000. In 2005 he was jailed for GBH after biting part of a woman’s ear off and in 2008 he was handed a suspended sentence for biting the same woman. Cornwell, now a double glazing fitter, was arrested after he smashed a friend’s window when drunk. The man - who had invited Cornwell back to his house in Chorley after a night out, went to bed but was woken by the sound of his front window shattering. 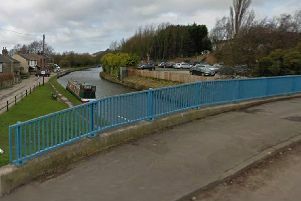 He called the police and Cornwell was found in the area at around 4.45am on March 22. On arrival at the custody suite, Cornwell initially refused to leave the van and when he did he became abusive towards the officers who were dealing with him. He struggled against the officers and spat out his false teeth - at which point officers started restraining him. During the struggle, PC Shaun Kelly looked down to see blood dripping from his arm, and after Cornwell’s comments felt extremely anxious that there was a risk of contracting a blood-borne disease. PC Kelly was taken to hospital where he was given hepatitis injections and had to supply a blood sample to test for HIV and wait three months for results. He jailed Cornwell for 24 weeks for causing actual bodily harm (ABH) with four weeks to run concurrently for breaking the window at the house in Chorley.